If you’re reading this, it means your internet works. Congrats! (And if you’re reading this offline, I’d love to hear how it got to you.) The internet connection that brought you here is an increasingly essential part of our jobs, our relationships, our democracies, and our lives. It’s the only way many people around the world consult with doctors, talk to their families, or find community. It is, to be clear, a human right. But the internet connection that brought you here is treated as a privilege, not a right, for many people around the world, a privilege that can be taken away when it is expedient for their government to make sure that those citizens can’t access that the knowledge and community the internet enables. In recent months, Iraq cut most of the nation off from the internet during middle school exams, Vietnam blocked social media sites during environmental protests, and Chad’s internet went dark after national elections. 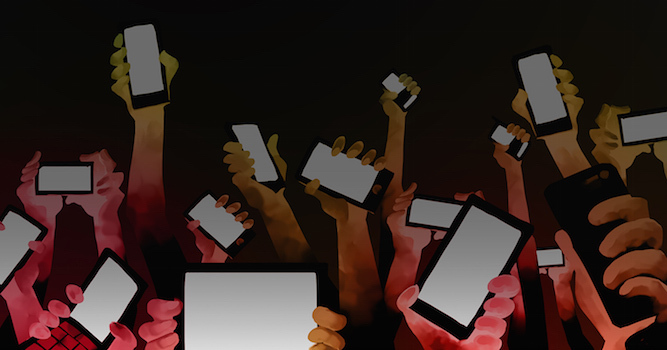 A few weeks ago, a coalition of groups around the world came together to speak out against those shutdowns and demand that governments around the world #KeepItOn. WITNESS is proud to be a part of that work, and we look forward to helping create a network that can monitor internet access around the world and bring pressure when that access is taken away. So much of what we do at WITNESS — and what our friends, allies, peers, and partners do — gets its life from being online so we can coordinate and share and discuss. We need it, because it is both a human right and a tool for protecting our other human rights. So, to the governments of the world: #KeepItOn.